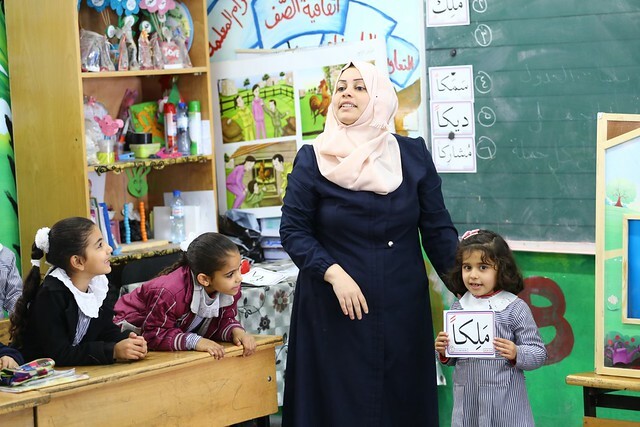 10 April 2019, New York – Education Cannot Wait announces a US$11.7 million seed funding allocation to support the launch of a ground-breaking multi-year educational response programme aiming to reach 320,000 children in the State of Palestine. Developed in coordination with the Ministry of Education of the Palestinian Authority and a broad-based partnership of UN agencies and Non-Governmental Organizations, the three-year programme aims to mobilize US$34.8 million in total finance from additional donors. “Children and youth in the West Bank and Gaza face significant levels of violence in their daily life. Education is a life-line for them. We must invest in their education and their schools as safe spaces where they can learn, thrive and be empowered to realize their potentials. Their potentials are great, indeed,” says the Director of Education Cannot Wait, Yasmine Sherif. The programme will target some of the most vulnerable and at-risk children and youth in the West Bank and the Gaza Strip, with special attention given to marginalized groups such as girls, children with disabilities, and vulnerable communities. The programme will implement integrated initiatives to develop the capacity of teachers and schools, improve safety of learning environments, offer protection to children and teachers and integrate life-skills to improve the quality of education. Although the net enrolment in basic education in Palestine is over 95 per cent, access to pre-primary education and secondary education is lagging. The net enrolment rate in secondary schools is only 60.8 per cent (52.4 per cent boys and 69.5 per cent girls). Children with disabilities are even further behind, with only 5 out of 10 children aged 6-17 enrolled in school. In 2017 alone, there were 169 incidents of education-related violations in the Gaza Strip and the West Bank. Demolition and stop-work orders are affecting schools and pushing children away from formal education. Some students must walk 10 kilometres or more to get to and from school, putting their safety at risk. With parents worried to send their daughters to school, girls are particularly at risk. The new multi-year response programme was designed in collaboration with the Ministry of Education and Higher Education, the UN Country Team, development partners and NGOs. It aligns with the over-arching framework for humanitarian and development education interventions in Palestine through the government’s Education Sector Strategic Plan 2017-2022, as well as the Joint Advocacy and Protection Strategy, the UNRWA Mid-Term Strategy, and the Humanitarian Response Plan. This new US$11.7 million catalytic grant builds on the achievements of a $3 million First Emergency Response allocation from Education Cannot Wait which reached over 250,000 children (including 135,000 girls) and was implemented through the UNRWA.